As a graphic designer, unexpected inspiration sometimes comes at the right moment. That’s in an ideal world, when everything is flowing smoothly. I like this creative flow in the kitchen as well; when you look in the fridge and a fully formed recipe pops in your mind. Rare, but it does happen. The best way to increase the chances of this creative, subconscious inspiration is to always be filling your mind with knowledge and practice your skills, whatever field you are in. If you want to learn to paint, go to museums and study other artists. If you want to be a better speaker or writer, take classes or join groups and practice. And of course, if you want to be a better cook, then read cookbooks and blogs, and cook often. I hope I’m doing my part and providing you with quality recipes, tips and inspiration. 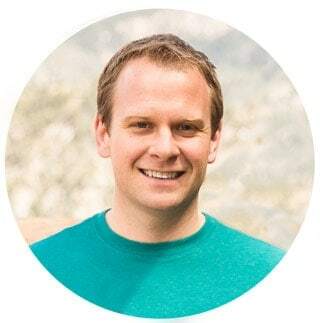 Feel free to comment below or contact me and let me know other ways I can help. This Mediterranean Shrimp Tacos with Garlic Yogurt Sauce recipe is another story. Looking in the fridge, I noticed a few key ingredients that fit into a theme; pita bread, artichoke hearts, kalamata olives and feta cheese. In a moment of what I’d like to call brilliance, this recipe formed instantly. These aren’t your standard Mexican-style shrimp tacos, and instead have a Mediterranean flair. Don’t let the simple ingredient list fool you; these shrimp tacos have a fresh and bold flavor. 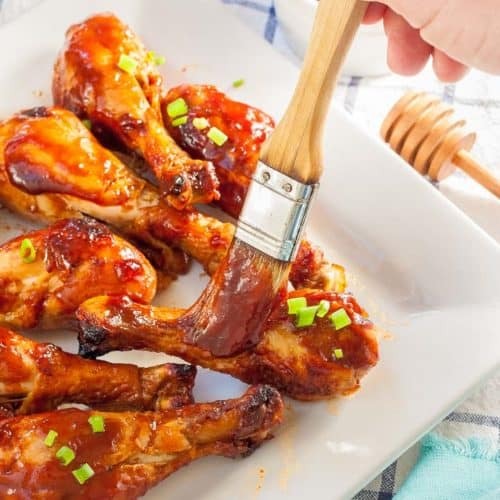 These are super easy to make and a perfect addition to any weeknight meal menu. I’m obsessed with other food blogs and my girlfriend and I are obsessed with cookbook magazines; you know, the ones you always see at the register. 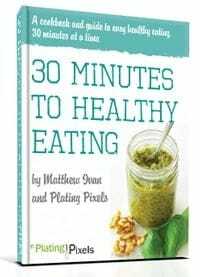 Secret tip: these are incredibly useful and provide tons of useful tips and recipe inspirations. This helps when I’m sometime short on recipe ideas, which can happen. I shot this in natural light at 1/125 sec, f/ 2.5, ISO 400. Dishes filled with multiple ingredients, like tacos, burritos or casseroles are often difficult to photograph. The content often blends together and is at best unrecognizable, and at worst unappealing. I suggest carefully arranging some key ingredient on the outside or top so they stand out. I made sure in this photograph you could clearly recognize the shrimp, feta and olives. The overhead photograph of the separate ingredients with text overlay is a good way to visually clue in your audience of each ingredient, especially if it has a short ingredient list. Mediterranean Shrimp Tacos with Garlic Yogurt Sauce. 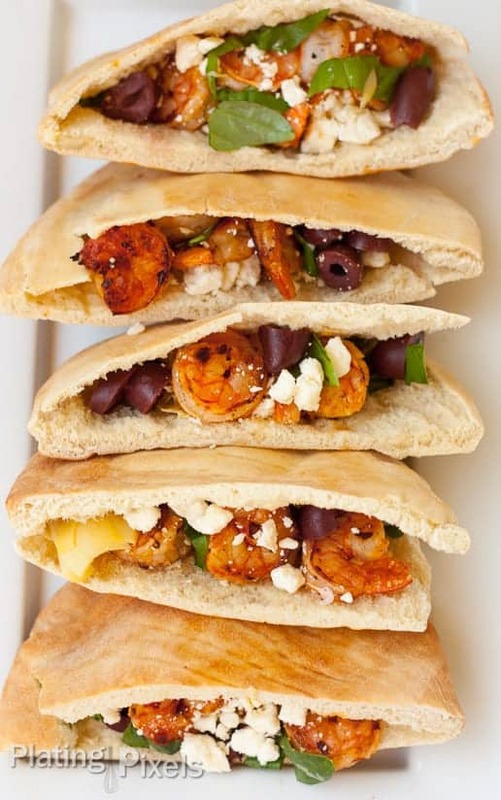 Shrimp tacos with a Mediterranean flair; pita bread, artichoke hearts, kalamata olives and feta cheese. Combine yogurt, garlic, basil, salt and pepper in small bowl to make sauce. 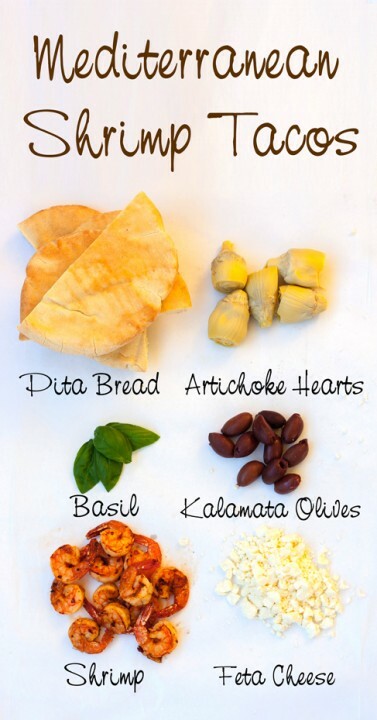 Preheat oven to 350º F. Place pita halves on baking sheet or directly on oven rack. Heat 7-10 minutes, until warm. Meanwhile, evenly sprinkle shrimp with salt, pepper and red pepper flakes. Mix to coat. Heat large pan or skillet over medium heat. 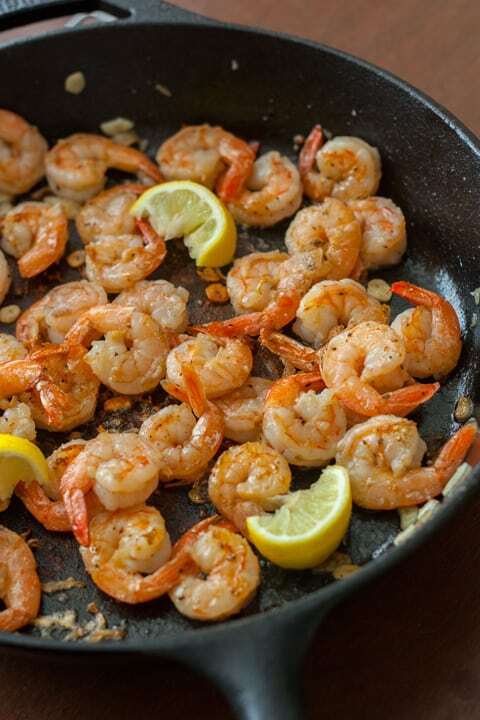 Heat olive oil and add shrimp. Cook 5-7 minutes, rotating half way, until shrimp is cooked and opaque white. Remove and discard tails. 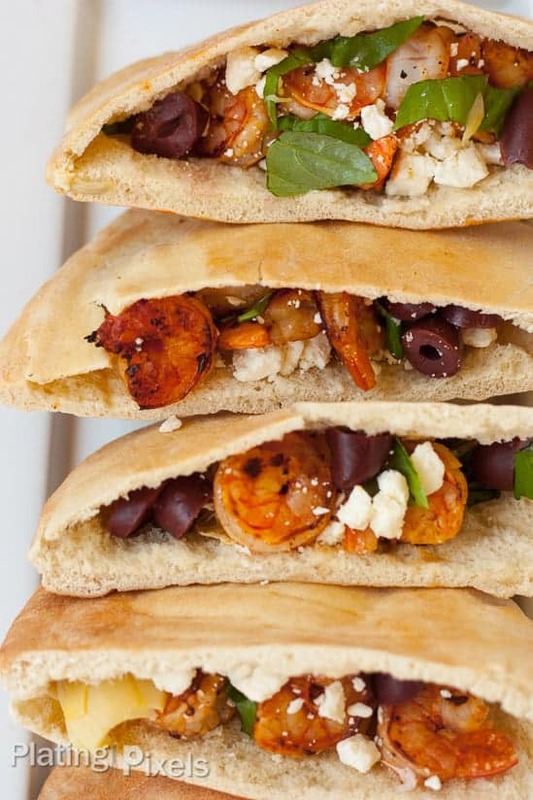 Open warmed pita halves and evenly fill with cooked shrimp, artichoke hearts, olives, and feta. 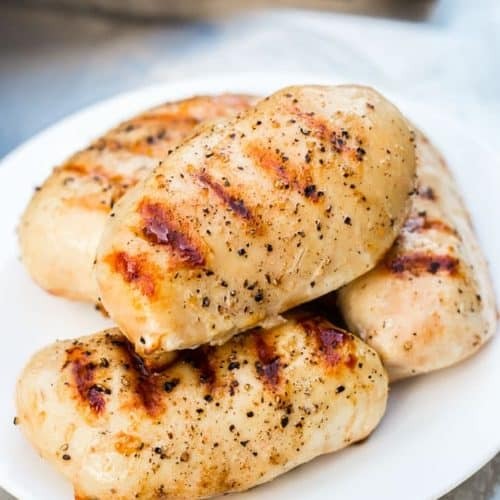 Top with garlic yogurt sauce. Makes 8 halves. 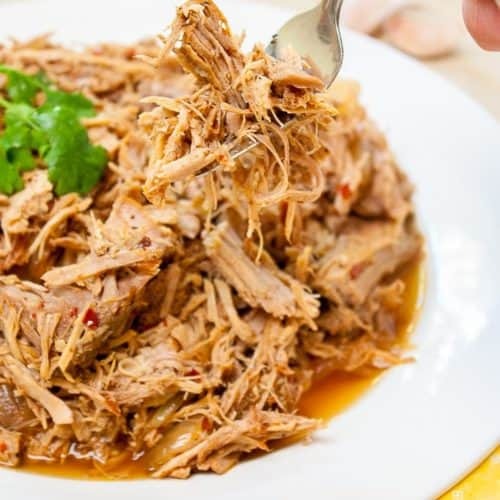 Thank you for the gorgeous images of yet another delectable recipe. You shouldn’t send them so late in the evening. I’m going to bed hungry!! !